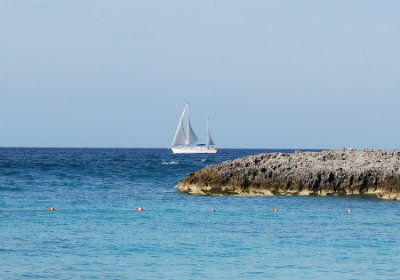 Search all Lyford Cay Real Estate Listings in the Bahamas below! Lyford Cay is a gated, luxury community located on the western edge of New Providence Island, only a short distance from the vibrant city of Nassau. Considered to be one of the most affluent communities in the world, Lyford Cay showcases gorgeous estate homes with scenic water views, and the exclusive Lyford Cay Club. Situated on 1,000 lushly landscaped acres, buyers will find over 300 elegant homes, wonderful beaches, expansive open green spaces, and a world-class golf course within a single stellar community. You owe it to yourself to experience this level of supreme luxury! Browse all Lyford Cay real estate listings below, or keep reading about living in this luxurious community. Lyford Cay homes for sale attract buyers from all over the world who are looking for an exclusive and luxurious community. Properties in the neighborhood include renovated homes original to the community, custom-built estates, and expansive condominium residences. Buyers will find a range of beachfront properties, golf course homes, and residences with spectacular water views. Interior features vary among these elegant homes, but may include a private pool, library, walk-in closets, spa-inspired baths, and beautifully landscaped courtyard area perfect for outdoor entertaining. Residents living in Lyford Cay homes have access to top rate amenities. Across the street from the golf course is the world-renowned Lyford Cay Club. Residents and members of the exclusive club enjoy twelve tennis courts, a complete marina, a distinguished dining around a championship golf course, and Lyford Cay International School. A long stretch of breathtaking white beach, twenty-four hour security, and the most luxurious living distinguish Lyford Cay as a most desirable place to live. Lyford Cay is the ultimate expression of privacy and elegance in the Bahamas. 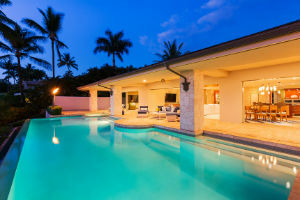 Want to learn more about Lyford Cay homes for sale? Our agents are experts on the Bahamas real estate market and will be happy to answer your questions. Contact Dupuch Real Estate online or call 242-393-1811 today!